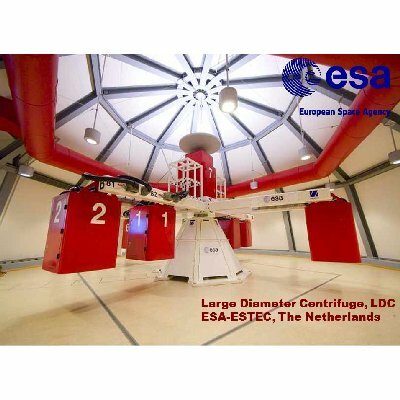 European Space Agency Technology Center (ESA-ESTEC), TEC-MMG LIS Lab, Noordwijk, the Netherlands. Jack J.W.A. van Loon received his PhD in from the department of Oral Cell Biology from the ACTA-VU University in Amsterdam in 1995 based on in vitro studies regarding the effects of spaceflight and hypergravity on mineral metabolism performed experiments in Shuttle (Spacelab/Biorack) and the unmanned Russian satellite Bion using the Biobox. Later more studies were done in Spacelab and SpaceHab. After his PhD we was appointed as facility scientists at Bradford Engineering for some years, he initiated the development of the Middeck locker facility BioPack and worked on the development of e.g. the Microgravity Science Glovebox (MSG), EMCS containers and others. Van Loon coordinated all life sciences and education experiments for that mission. For the last years he also works (part-time) as cooperating scientist at the Life & Physical Science, Instrumentation and Life Support Lab (TEC-MMG) at ESA/ESTEC. Van Loon also pursues and encourages the application of ground based research facilities such as Random Positioning Machines for microgravity simulation and centrifuges to explore "the other side of the gravity spectrum". He developed MidiCAR centrifuge for cell and small animal and plant studies as well as the ESA-ESTEC-based Large Diameter Centrifuge, LDC, an eight meter diameter facility for life and physical sciences and technology studies. He collaborates with colleagues all over the globe in performing ground based studies in biology, physiology, geology and physical sciences. For the last years, together with many scientists and engineers, he explores the possible application a very large human centrifuge. This Human Hypergravity Habitat (H3) is a system with a diameter of about 200 meter where human subjects can be exposed to hypergravity for weeks of months to study human physiology but also to explore the application of future in-flight large diameter artificial gravity, habitats and life support systems. Over the years van Loon published over 120 peer reviewed papers and 14 book chapters. He also co-edited several journal special issues and books of which one especially for ELGRA co-editor Daniel Beysens entitled “Generation and Applications of Extra-Terrestrial Environments on Earth”. Van Loon was a president of ELGRA from 2007 till 2011. Gravity research instrumentation / hypergravity (centrifuges), microgravity simulations (Random Positioning Machine), clinostats, partial gravity simulators.